R5 is an American pop rock band formed in Los Angeles, California, in 2009. 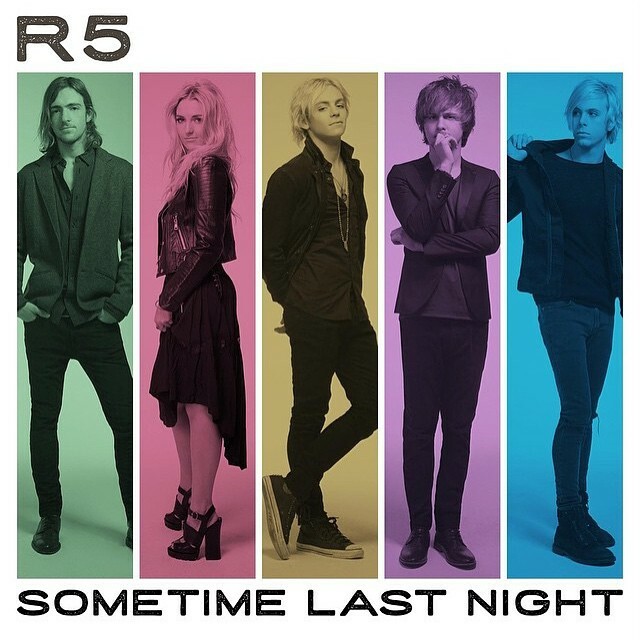 The above is the cover artwork of Sometime Last Night, the second studio album by American band R5. It was released on July 10, 2015 by Hollywood Records. The font used for the text on the cover art is Porter Sans Ink, which is a textured sans serif font designed by Tyler Finck. The sans serif has a beautifully hand-printed look and two styles available, the regular and the italic. While the font is technically “all caps” the uppercase and lowercase glyphs have different ink patterns. The Porter Sans Ink font identified above is not available for free, please follow the link above and purchase the font. Meanwhile, you can take a look at our collection of fonts for cars, pop music and apparel as well as round-ups of new & fresh fonts around the web. In addition to Sometime Last Night (R5), It seems we can’t find other examples (logos, movie posters, album covers etc.) of Porter Sans Ink typeface in use.